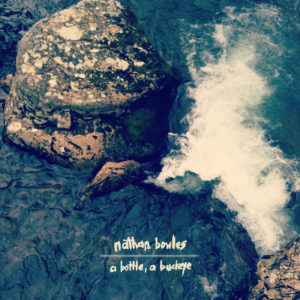 Hard to believe our planet had not yet been graced with Nathan Bowles solo recordings until now, but such is the case. After years of playing in celebrated ensembles, including Pigeons (briefly), touring the known world, and honing his skill on a host of instruments, Bowles unveils his first solo effort: A Bottle, A Buckeye. The spacious, rollicking, meditative, and above all powerful record bridges the methods and constructs of his two most notable groups – Black Twig Pickers (old-time) and Pelt (outer limits) – while inhabiting a space all its own. Armed only with a 5-string openback banjo (built by Nathan’s neighbor Greg Galbreath at the Buckeye Banjos workshop) and a bottle of Elmer T. Lee, Bowles recorded and mixed the record with Jason Meagher at Black Dirt Studio over two days in December 2011. Bowles’ recent focus on the instrument’s various possibilities is on full display – bowed & drummed textures, clawhammer boogie, and banjo soli sidewinding. With a mixture of traditional folk tunes, original compositions, and reinterpretations of material from players who’ve passed on, this is a varied ride with a serious player at the helm.